Standing in the middle of an epicenter of cool Austin places is BookPeople, Texas’ leading independent bookstore since 1970. Which is really no surprise… BookPeople is host to over 300 book events/signings a year (most of which are free), good coffee and two levels of books, books, books. BookPeople is also a strong presence in the Austin Independent Business Alliance, a community of independent businesses working on “Keeping Austin Weird” (More on “Keeping Austin Weird” later!). 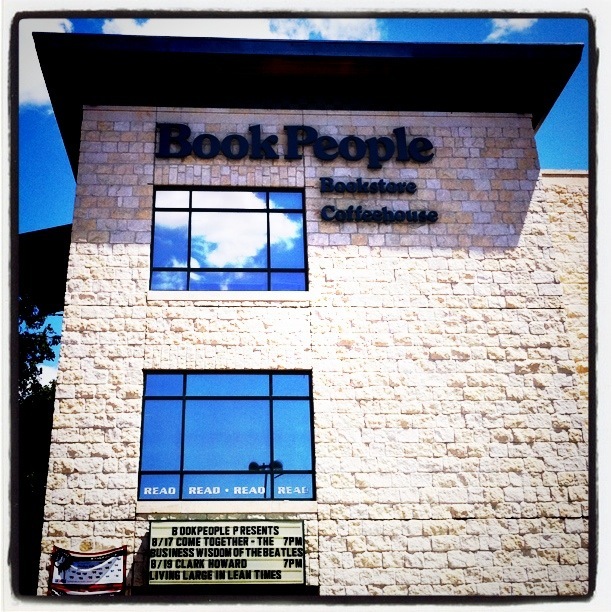 And having been voted by the people of Austin “The Best Bookstore” since 1984, BookPeople plays a big roll in helping to preserve the reasons why we love Austin.